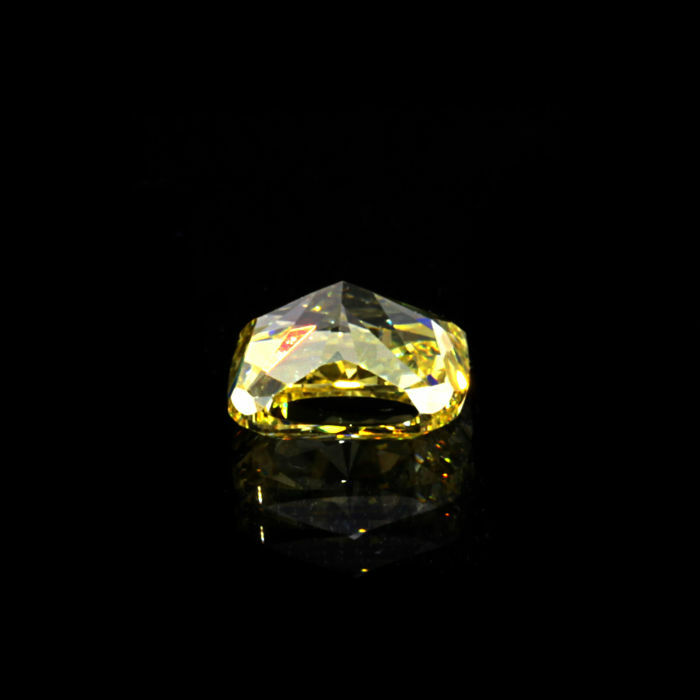 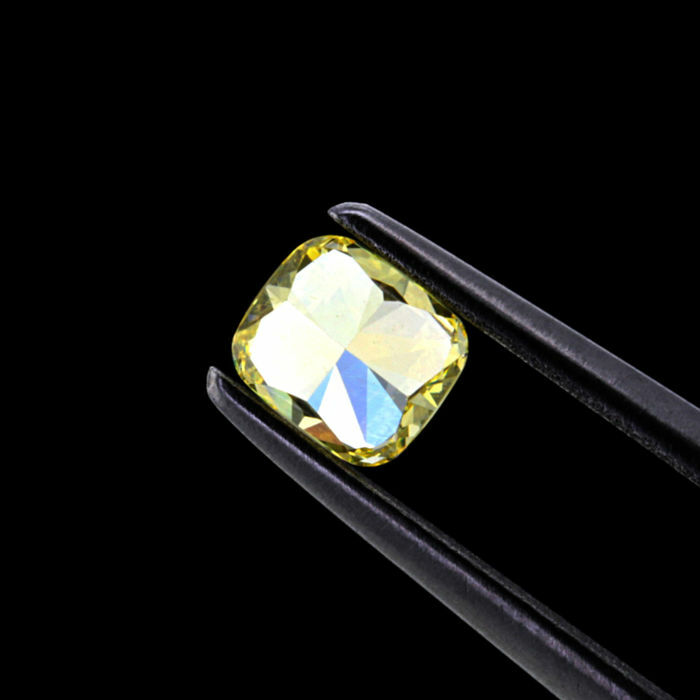 0.44 Ct. Natural Fancy vivid yellow Cushion shape Diamond. 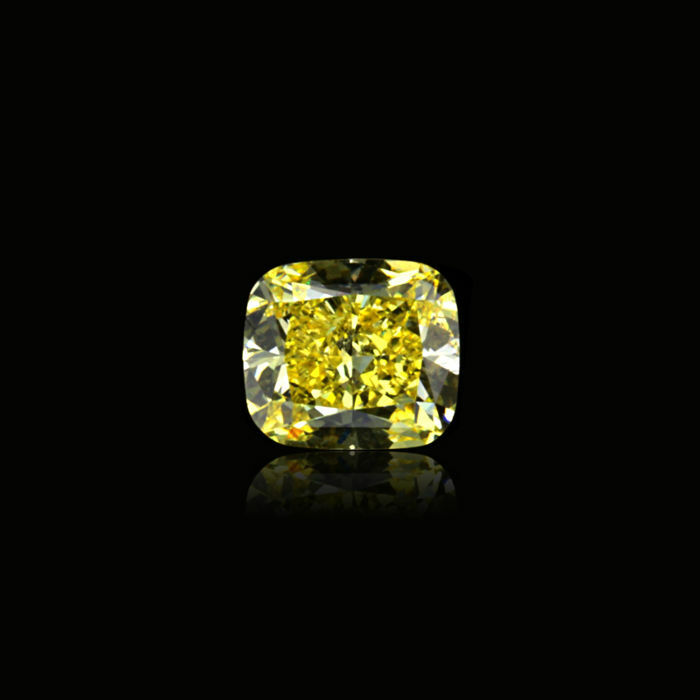 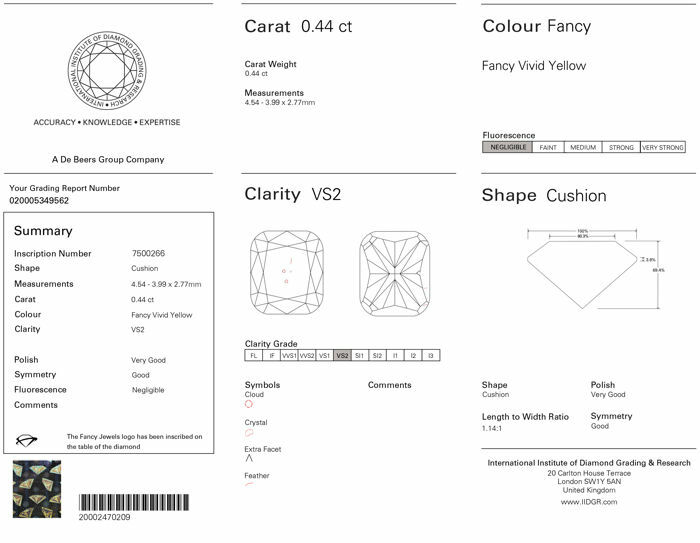 "De Beers Certified"
Natural Fancy vivid yellow Cushion shape 0.44 ct Diamond. 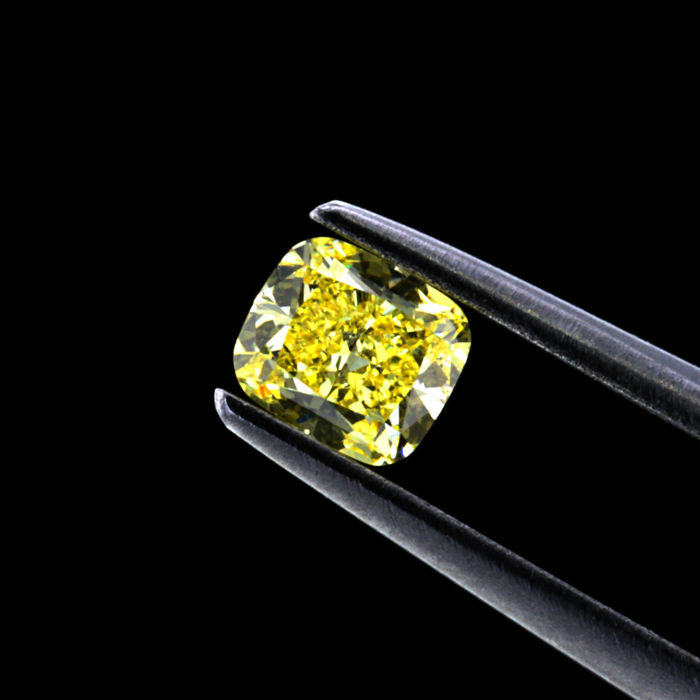 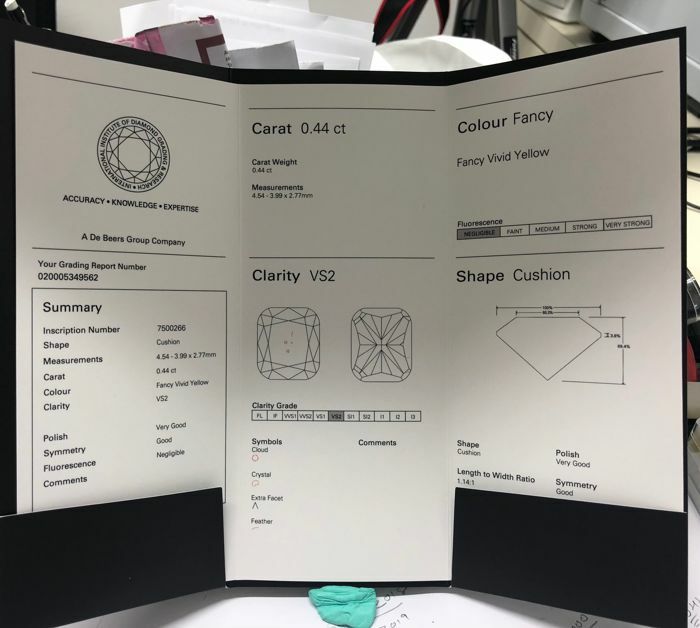 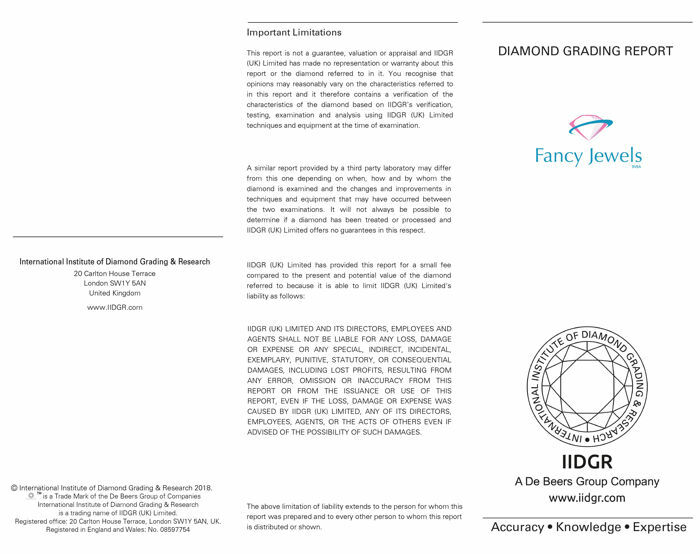 "IIDGR De Beers Certified" With Very Good cut and Very Good polished, best suitable for the pendant and ring centerpiece. 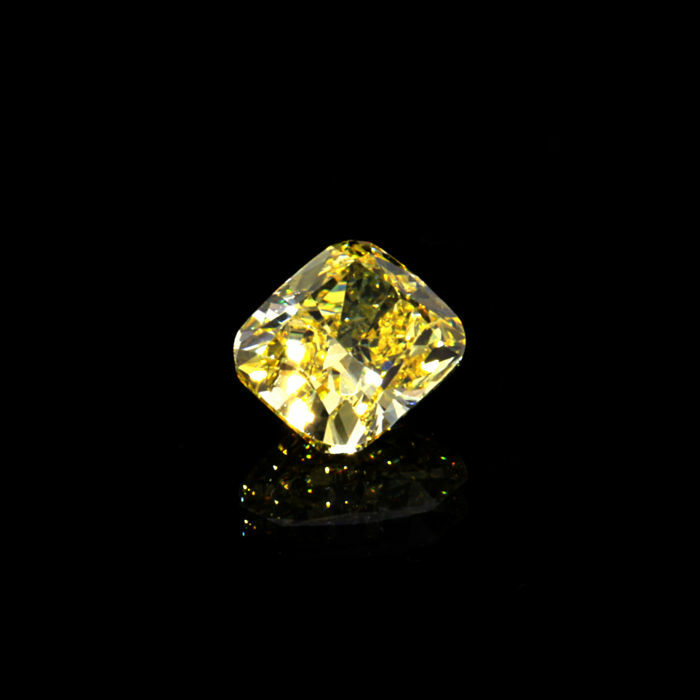 It is crafted and polished from the Angolan rough the One best source of natural COLOR diamonds.